Current Location: Capitol Square, N.W. Cherokee Chief Sequoyah is credited with taking the traditional spoken word and developing a written language. The chief is rendered in a bronze plaque in the Library of Congress and represents one of two statues from Oklahoma in the National Statuary Hall Collection. The sequoia is the largest living tree species. 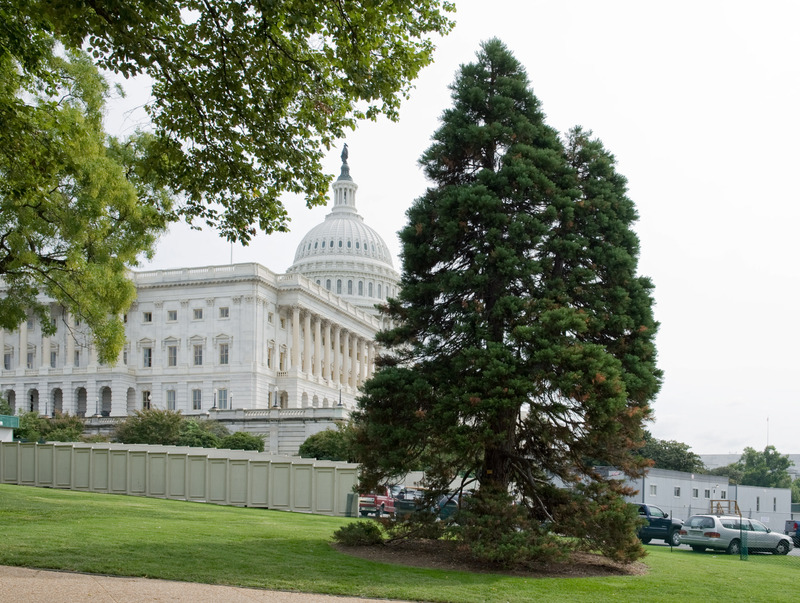 This tree is one of three growing on the Capitol grounds and is well dislocated from its natural range in the Sierra Nevada mountains of California. It prefers cool summers and moist, but well drained, soil conditions that do not exist in the Washington region.